Be Resolute – Start 2017 Off Right! Teachers are the perfect examples of people who Do Something Creative Every Day – whether it’s making a school subject more relatable or decorating their classrooms on a small budget, we admire the application of their thoughtful creative processes! Undoubtedly, teacher’s have an extremely difficult job and at Paper Source, we hope we can provide something that makes life a little bit easier. We asked a handful of teachers what their favorite things are from Paper Source that eases their load – we hope it sparks some ideas for all you teachers out there! With the 25th Anniversary of Lollapalooza coming up at the end of July, we’ve got music festivals on our minds. There is no better way to get excited for all the awesome festivals in the coming months than to get stocked up with everything we’ll need to have an amazing day (or weekend)! 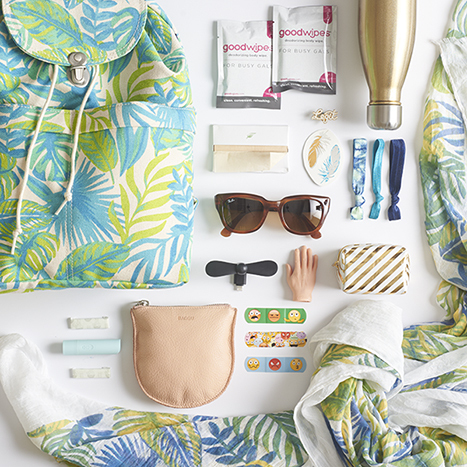 We’ve compiled a list of all the essential items that are in our festival bag as we gear up for Lolla, or any other festival we might have our eye on (too many to choose from)! Keeping February Fresh with Fitness with Guest Blogger Allegra G.
With January behind us and the end of February closer than we might believe, the solid resolutions we made on January 1 may have started to wane slightly. This is often the case when we set lofty goals for an entire year. You might find that the gym seems farther away, and those excuses for why you just can’t exercise today are starting to carry more weight. Resolutions and big picture goals are a great starting point, but they put a lot of pressure on you. Once you set a resolution, you have to keep it up for 365 days, and any small misstep can feel like a failure. Huge fitness resolutions may be too overwhelming, so a few weeks in you might find yourself on the couch rather than a treadmill. But there is hope! There are some simple, and fun ways to achieve your goals and have you feeling healthier than ever before. Valentine’s Day is just around the corner and Paper Source is here to help you spread the love. Find gifts for all the loved ones in your life with these three collections designed to take away the pressure of searching for the perfect gift. Choose your gift set and select which items your Valentine will love! Can’t get enough? Check out all of our gift ideas here! Stress less with our classroom collection of valentines. 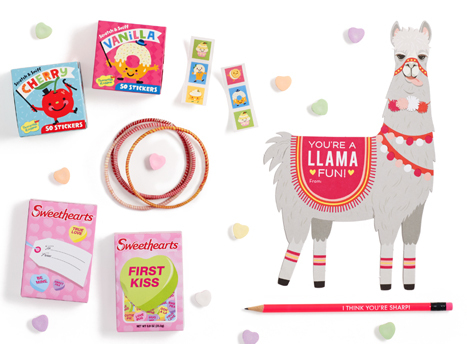 Complete the kit with candy and cards, and these lovable llamas are sure to steal the hearts of everyone in homeroom. Easy to make and fun for all, this kit is your one-stop shop for classroom valentines. Still wondering how to keep your resolutions this year? Our buyers wanted to share their resolutions and how our fabulous products will help them stay on track. Check out their plans below, and get inspired by how they plans to stick to them! Kyle W.’s major new year’s resolution is to streamline her office and desk organization using our sassy and stylish pocket folders by ban.do and kate spade! It’s easy to get motivated for meetings with colorful folders and an oversized blotter to keep your schedule on track. We want to inspire you to Do Something Creative Every Day, so we asked our buyers to share their resolutions and how our favorite products will help them stay on track. Check out their plans below, and resolve to try something new this year! Carolyn R. says, “My resolution is to drink more water and our beautiful Swell water bottles are the perfect way to make sure I have water with me all day. Are you struggling with a gift list that’s filled with your favorite people, but missing those special items that will make their day? We get it. Gift shopping can be overwhelming, but Paper Source is here to help! 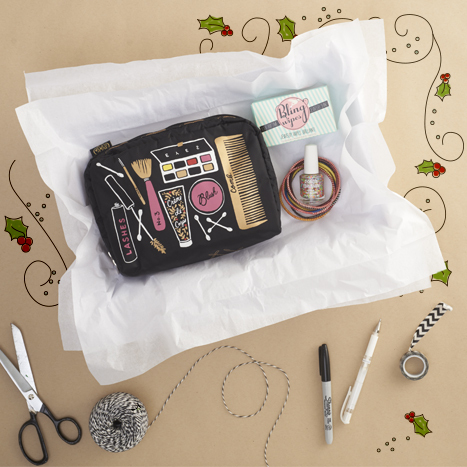 We have Gift Box ideas to inspire you and get you ready for a season of giving in style. Take a look at some of the fun, fancy and fresh gift ideas for her, him, and even kids! This girl not only follows the trends, she sets them! Set her up in style this season with all the essentials for keeping her on-the-go in her fabulous heels.